Browse ghee suppliers by country and region. We supplis Pure Cow Ghee nutritional substitute for fresh milk dairies and is processed using innovative technology. This pure ghee is processed keeping in mind the climatic conditions of the consuming country for maximum shelf life, excellent quality and freshness ,herbs & spices, wheat flours, basmati & non-basmati rice, nuts, pulses, milk products. 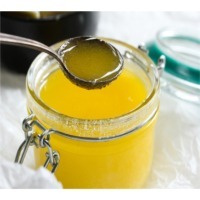 Product Description : Vegetable Ghee is frequently used for softening the taste of dish and improving creamy flavour. Vegetable Ghee for 99.7% consists of fat. Price of product ( USD price or FOB price) : USD 1.55 per kg FCA Tashkent, Uzbekistan, Central Asia Product origin : Tashkent, Uzbekistan, Central Asia Key Specifications/Special Features : 99.8% of fat Appearance and consistency - Dense, homogeneous or granular; in the melted form - transparent without sediment Color - From light yellow to yellow, uniform throughout the mass Mass fraction of moisture - not more than 0,4% Acidity of the fatty phase - not more than 0,5 Minimum Order Size and Packgaing details : 500gr plastic container, 10kg, 11kg, 16kg plastic tin-like containers and/or metal tins. Cow Ghee is 100% Pure and testy. It is made by cow milk. HS Code- 04059010. Our quality better than other. Price per 1MT $ 20000. Shipping Term FOB Chittagong. Payment term L/C or T/T. Origin of Bangladesh. Cow Ghee use many foods item as like cake. It is very useful for health. Everybody like this. Minimum order quantity should be 1MT or 1000kg. 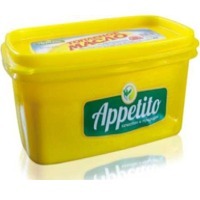 Packaging 50kg per can and as per buyer requirement. 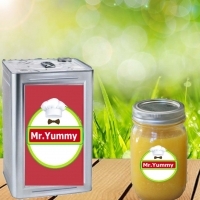 We are a manufacturer and exporter of pure ghee .We supply pure ghee at best quality with best price in the brand name of mr yummy. 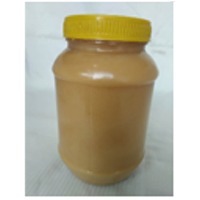 We also supply our ghee in the customized logo and packing based on the clients requirement. Short on time? Let ghee sellers contact you. 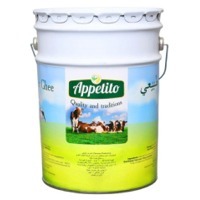 Original Gir-Cow "Organic certified" "PURE A2 DESI GHEE" Prepared from "Certified A2 milk" boiled at very low temperature to preserve its original quality, available at very best price $15/kg only. Best quality is guaranteed.... 5% discount for all orders above 2 tons. Cow Ghee made from Desi Indian Cows - Native breeds like Hallikar. All certifications and paperwork available. If interested please contact. Original Gir-Cow "Organic certified" pure Desi Ghee Prepared from "Certified A2 milk" boiled at very low temperature to preserve its original quality, available at very best price $15/kg only. Best quality is guaranteed.... 5% discount for all orders above 2 tons. 2% special additional discount for orders received befor 10th sept 2018. Fruits and vegetable, processed vegetables & fruits, honey, stationery, pure cow ghee.